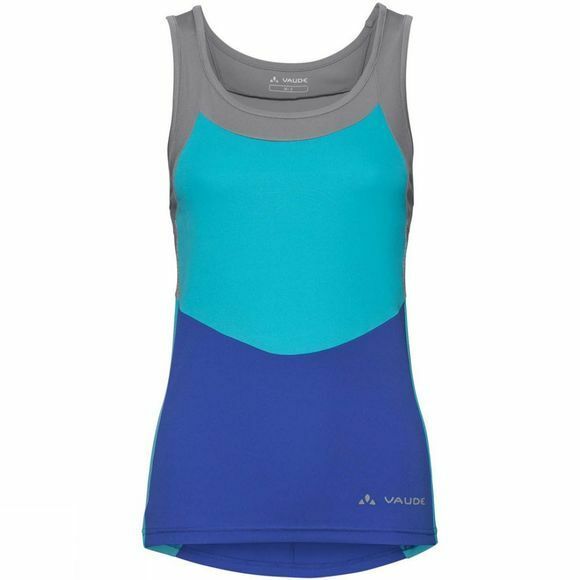 The Womens Advanced SL Tricot III Top from Vaude is a sleeveless jersey with a wide, round neckline and side mesh panels ensures maximum breeziness on hot summer tours. 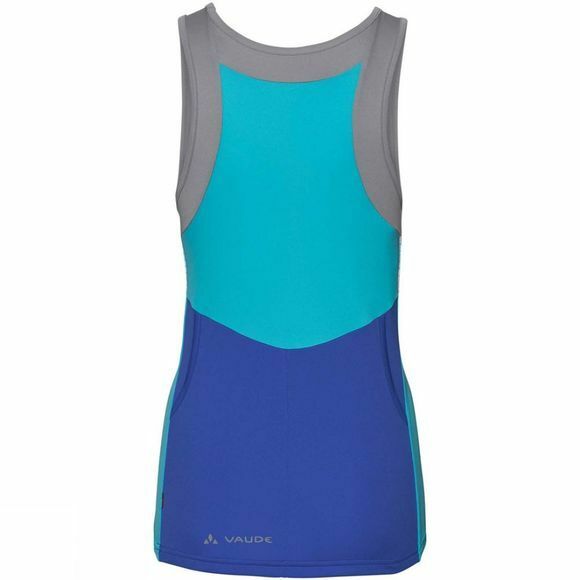 The functional material is lightweight, breathable and dries quickly. Your most important belongings for the ride fit in the two back pockets. The Vaude Green Shape label stands for environmentally friendly, functional products made from sustainable materials.